GanttView provides a graphically diagrammed schedule that helps to plan, coordinate, and track specific tasks in a project. Manage projects effectively and efficiently with added support for constraints, dependencies, resources, styles, and import or export your MS Project into GanttView. The GanttView control can automatically generate a schedule from a list of tasks, durations, and constraints. Users can edit task information manually through a tabular data grid, by input dialog boxes, or by clicking and dragging bars within the chart pane. Manage everything about your tasks. Set constraints on start and end dates, assign predecessors (or dependencies), and assign any number of resources to a task. Everything is visual and user-friendly. For example, dependencies are displayed as arrows between task bars and can be set via drag and drop. Validation also alerts users when conflicts arise. The GanttView control comes with a built-in toolstrip that contains several common commands. 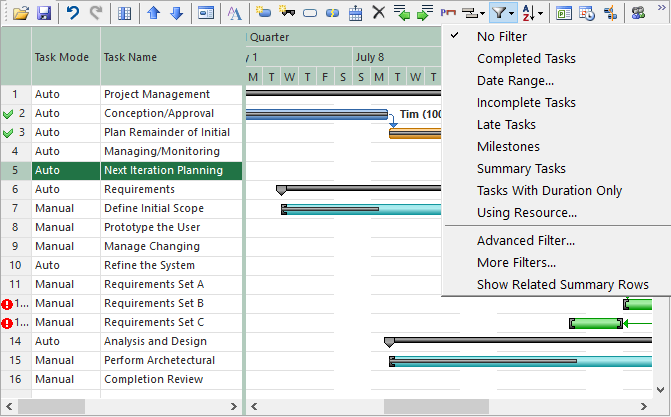 Users can manage project information as well as move, insert, and delete tasks with one click. 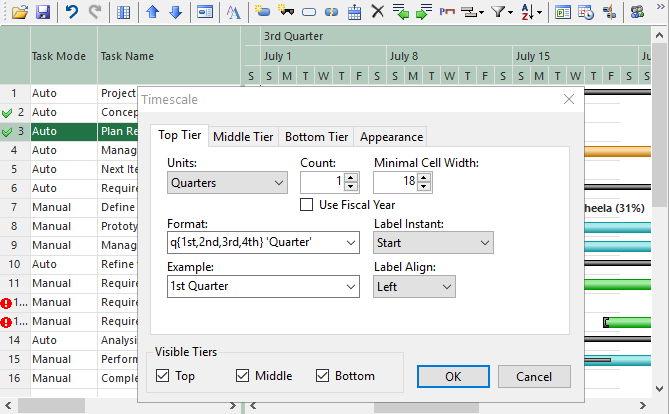 Users can also manage the visible grid columns, resources, time scale, and bar styles. Hide the built-in toolstrip to provide your own custom UI. GanttView includes default styles for several different bar types, like Auto Scheduled, Manually Scheduled, Progress Bar, Milestone, and Deadline. 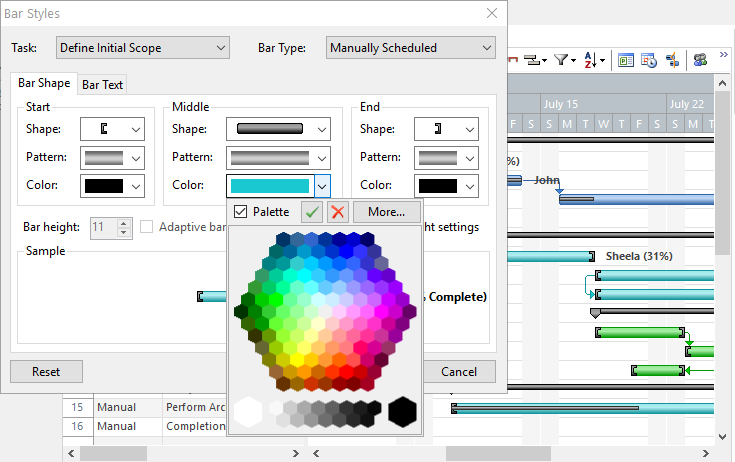 Users can customize the shape, pattern, and color for each of these bar styles, or simply customize the style for one particular task. Users can also specify which text field to display on either side of the bar. You are not limited to the GanttView data model. Add your own columns to the GanttView grid to show custom business logic or special calculated fields. Custom data values can even be persisted to XML along with the other task data. Persist your project schedule in an XML file. The built-in toolbar includes commands for saving and loading schedules, or you can call the SaveXML and LoadXML methods in code.